The Romare Bearden Foundation announced today the Romare Bearden Homecoming Celebration, a seven-month, multidisciplinary schedule of programs and events designed to explore the breadth of artist Romare Bearden’s personal, creative and intellectual achievements. The Celebration was launched with a special press announcement and luncheon hosted at the historic Apollo Theater in Harlem, where the acclaimed artist once had a studio. Continuing its nearly 50-year history of support of the arts, and in tribute to the legacy of a great American artist, Altria Group, Inc. announced its lead sponsorship of the celebration, with a $150,000 grant. The cultural media sponsors for the event are Museums New York magazine and Museums Traveler.com. “The Altria family of companies is proud to help bring to New York an exciting array of public programs that honor the enormous contributions of an artist of the stature of Romare Bearden,” said A. Shuanise Washington, vice president, Government Affairs, Policy and Outreach for Altria Group, Inc. “Our commitment to, and support of, the arts date back more than four decades. At Altria Group, Inc. we believe the arts challenge us to explore new and diverse perspectives by inspiring dialogue and debate. We also believe that artists are among the most significant innovators of our time, and we look to them for inspiration and commentary on an ever-changing world. Bearden was certainly such an artist,” Washington added. 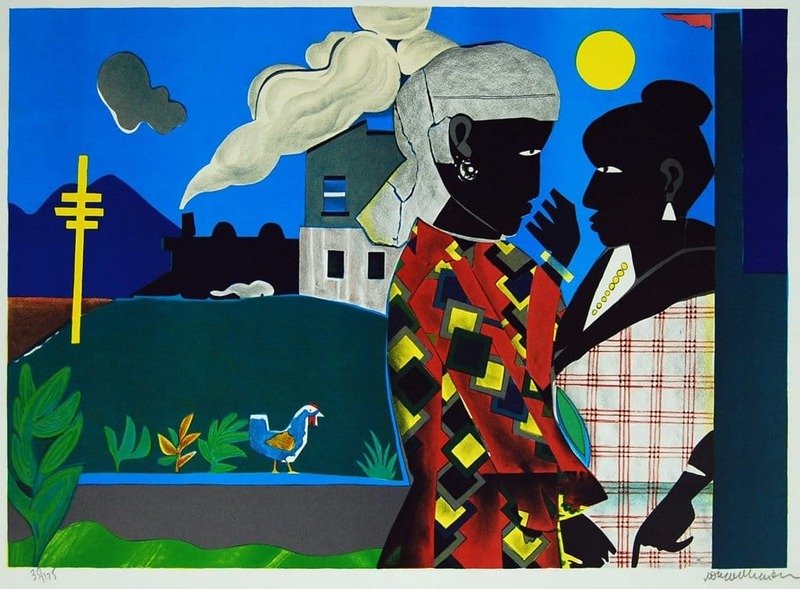 The Romare Bearden Homecoming Celebration is being held in timing with the traveling exhibition, The Art of Romare Bearden, which opens at the Whitney Museum of American Art in October. The exhibition, organized by the National Gallery of Art, is considered the most comprehensive retrospective of Bearden’s work ever mounted. Taking place from September 2004 through March of 2005, the citywide celebration will encompass exhibitions, gallery tours and performances examining Bearden’s paintings, collages and tapestries, as well as engaging educational symposiums, panel discussions, walking tours of Harlem, jazz concerts and dance performances. Among the Foundation’s institutional partners are the Apollo Theater, the Brooklyn Academy of Music, the Bronx Museum of the Arts, the Center for Jazz Studies at Columbia University, the Jamaica Center for Arts & Learning, Jazz at Lincoln Center, The Metropolitan Museum of Art, Snug Harbor Cultural Center, the Studio Museum in Harlem, the Society for the Preservation of Weeksville and Bedford-Stuyvesant History and the Whitney Museum of American Art, among other institutions. As a kick-off to the celebration, Jazzmobile will conclude its season in September, Bearden’s birthday month, with a Birthday Party for Romare Bearden, a multi-generational jazz performance staged on Jazzmobile’s Float at Grant’s Tomb. Romare Bearden (1911-1988) is widely acknowledged as one of the most talented and original visual artists of the 20th century. He was also recognized for his wide range of personal and scholarly interests in jazz, dance, history, literature and world arts. Born in Charlotte, North Carolina and raised in Harlem, New York, Bearden attended New York University and studied at the Arts Students League. In 1969 he founded the Cinque Gallery with Norman Lewis and Ernest Crichlow to provide a space for young minority painters and curators to display their work and gain experience in the art world. This preeminent artist was elected to the National Institute of Arts and Letters in 1972.